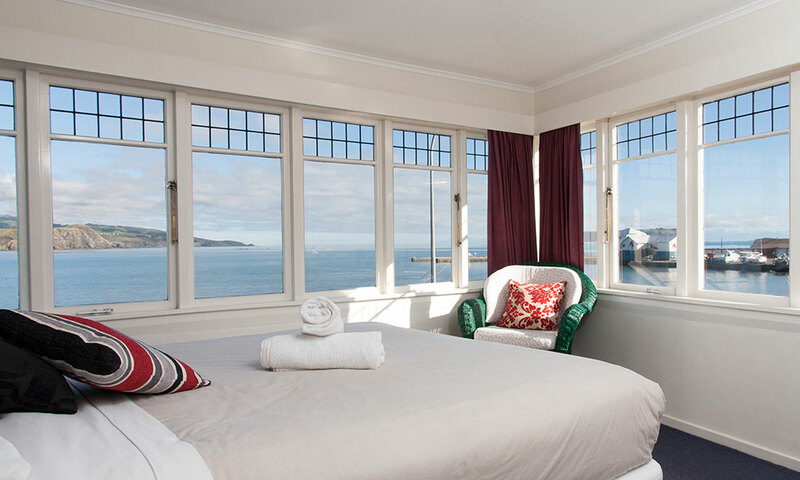 Treat yourself to one of our stunning seafront bedrooms…sleep to the sound of the waves just a few metres away. 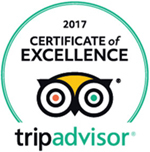 Offering an extremely unique experience; with its sought after location, friendly & welcoming hosts, and a genuine feeling of being personally cared for. Excellent, clean, and well looked after. 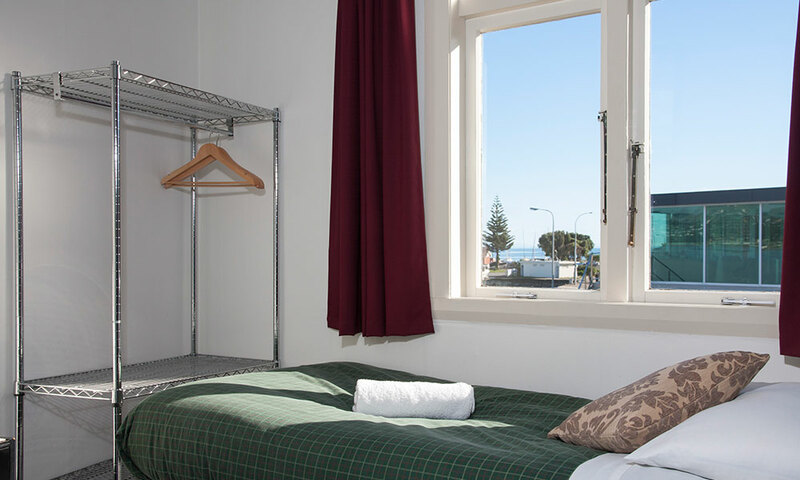 A home away from home, being a mid-size backpackers with just 14 rooms. 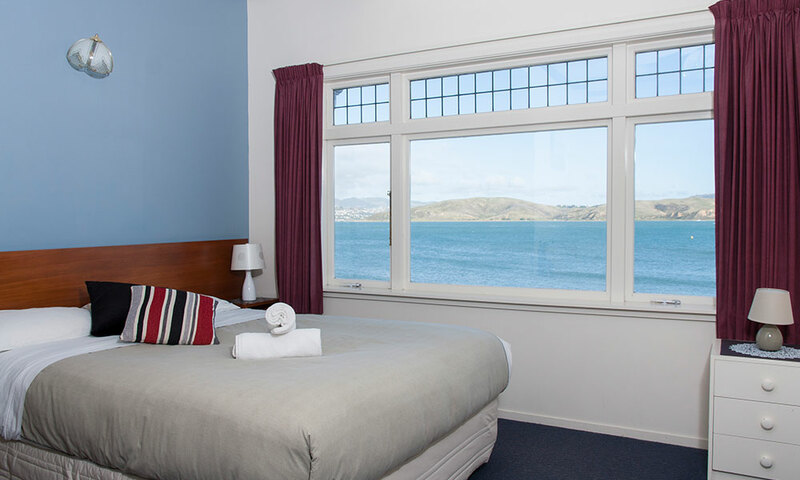 We take the time to ensure your stay is a truly enjoyable one. 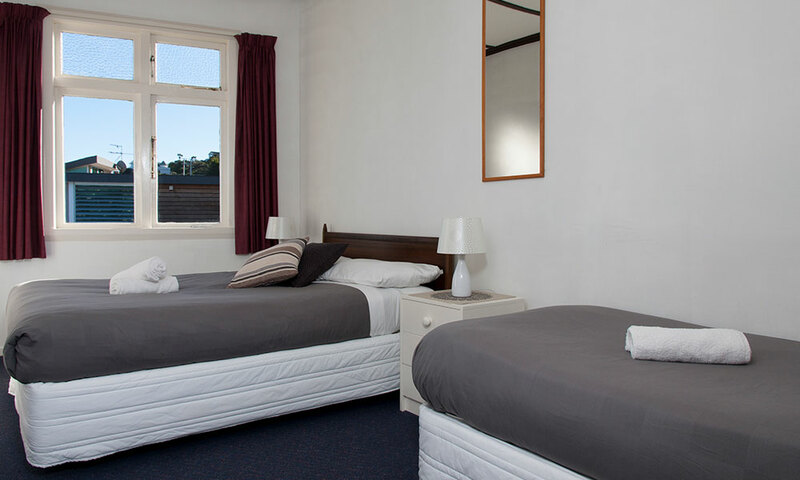 Reception desk is situated downstairs to assist you during your stay. 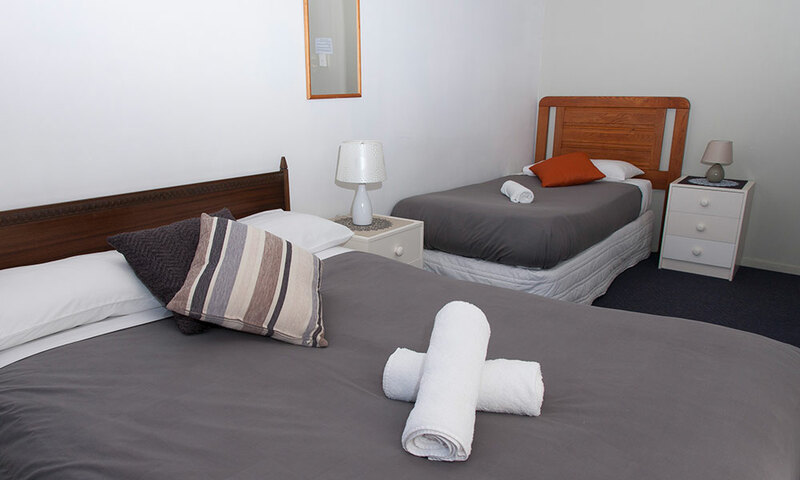 Moana Lodge offers a wide range of quality accommodation options for various groups and individuals. 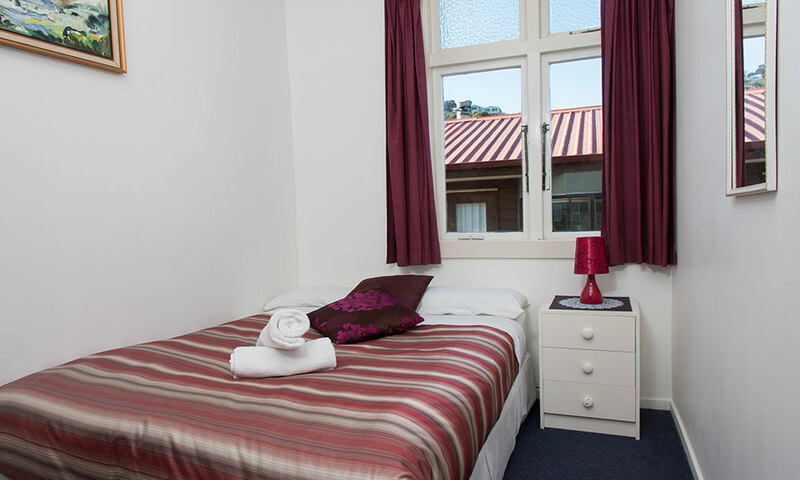 We offer a variety of rooms with different sleeping facilities, catering for a range of requirements, e.g. 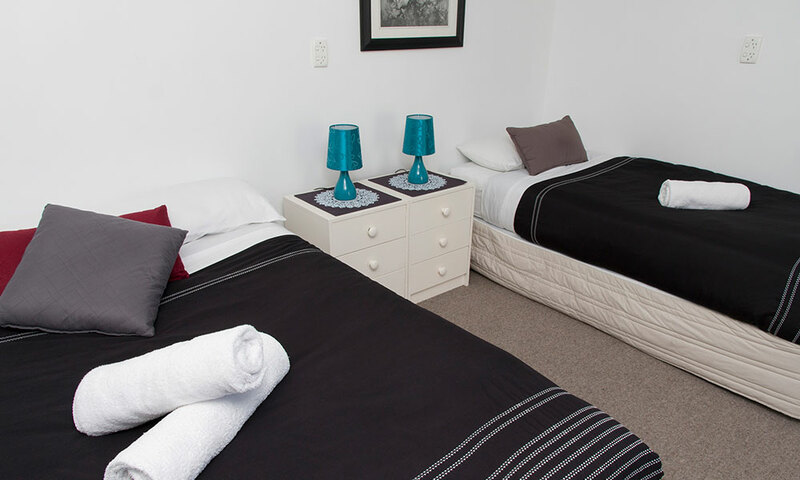 travelling as a couple, family, or group; or an individual seeking backpackers accommodation for just one person. 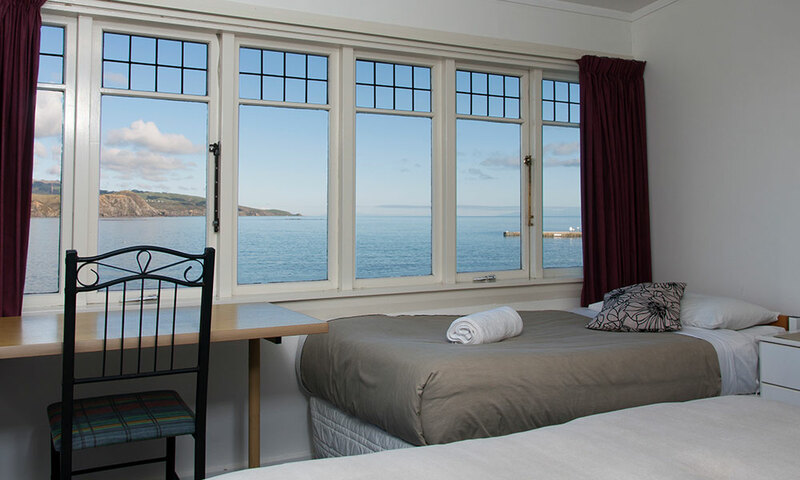 Options include our ‘standard’ rooms, through to the option of ‘sea views’. 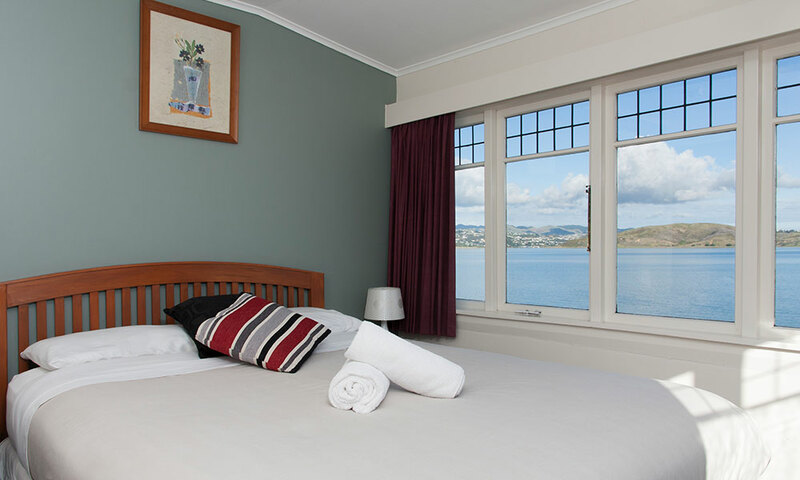 At Moana Lodge you can be assured all our rooms are fitted with quality bedding along with extremely comfortable beds…all the necessary ingredients for a great night’s sleep! 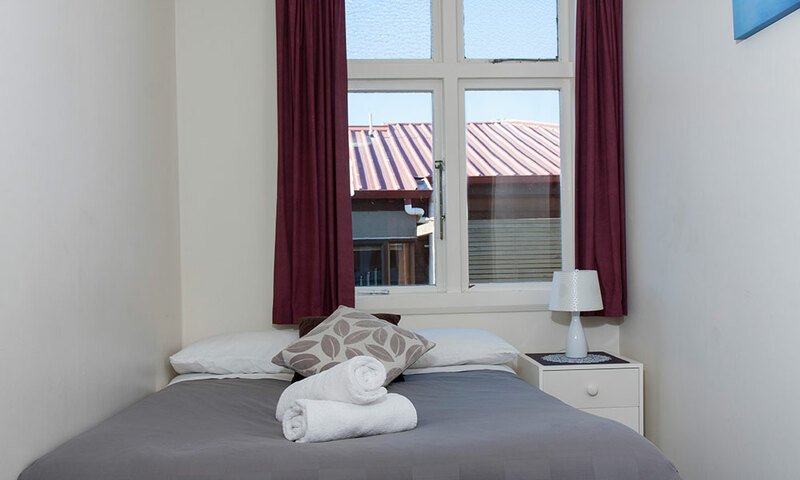 Linen, towels, and bedding are provided for all our guests and all beds are fitted with electric blankets. 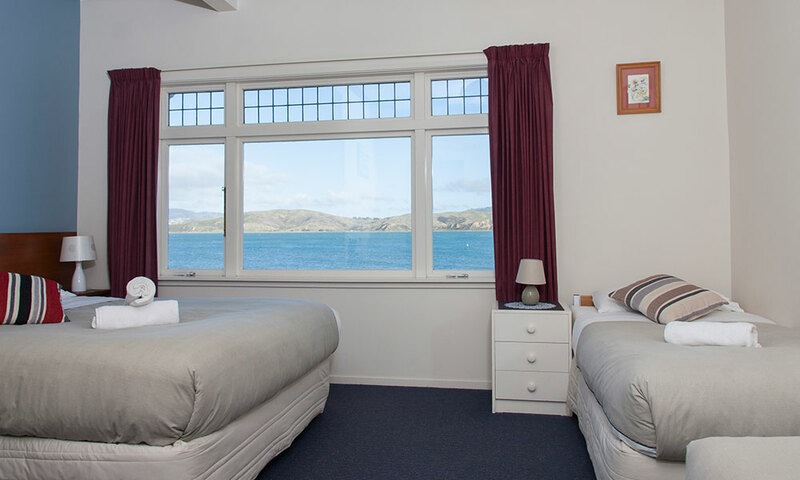 Each room is fitted with its own heater. 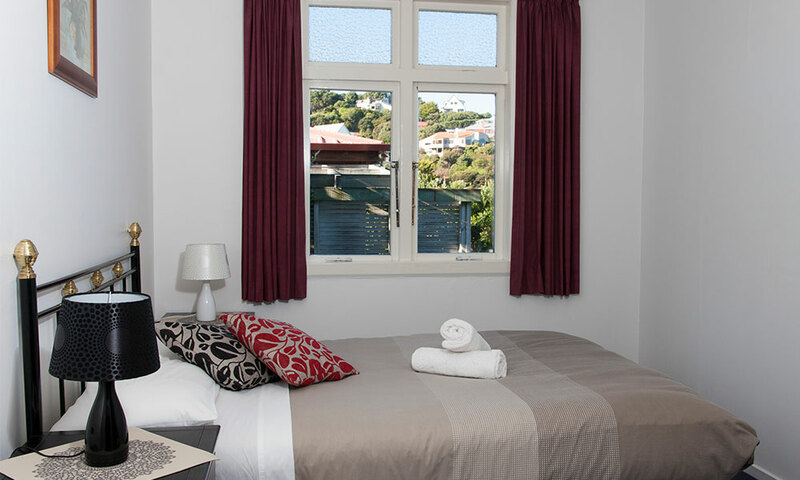 Check our rooms below and click here to go to our Rates & Bookings Page. 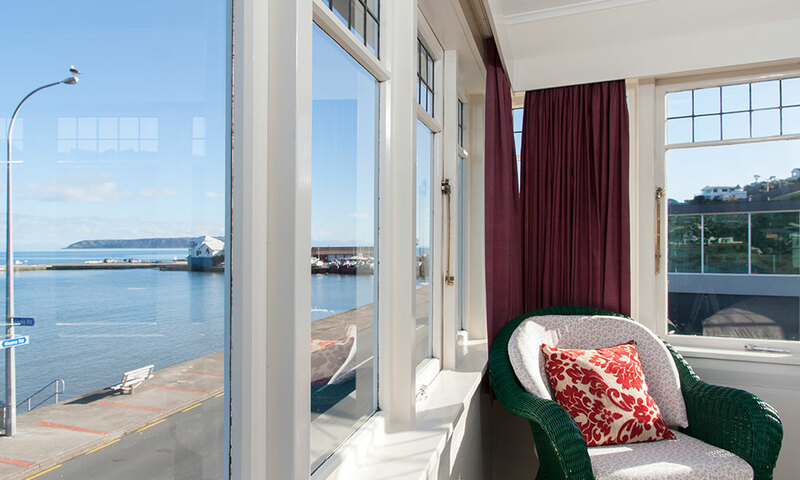 Private room with seafront views (upstairs or downstairs room). 1 Queen size bed and 2 Single beds/bunk. 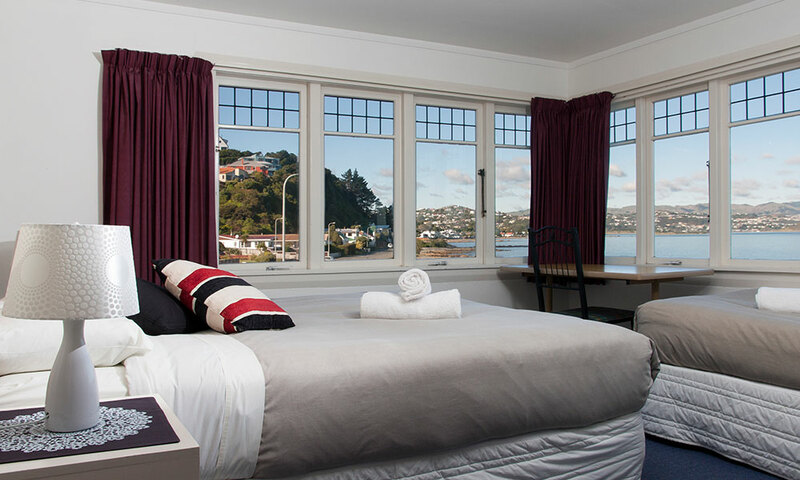 Private room with one queen size bed and excellent seafront views. 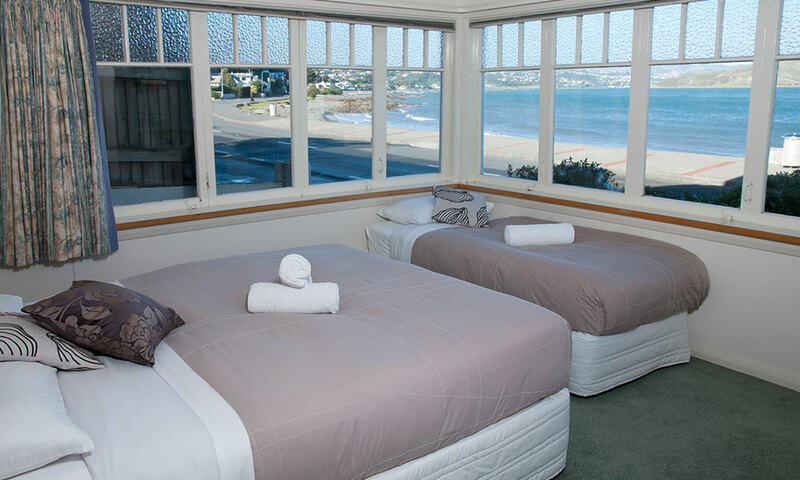 Private room with two separate beds and excellent seafront views. 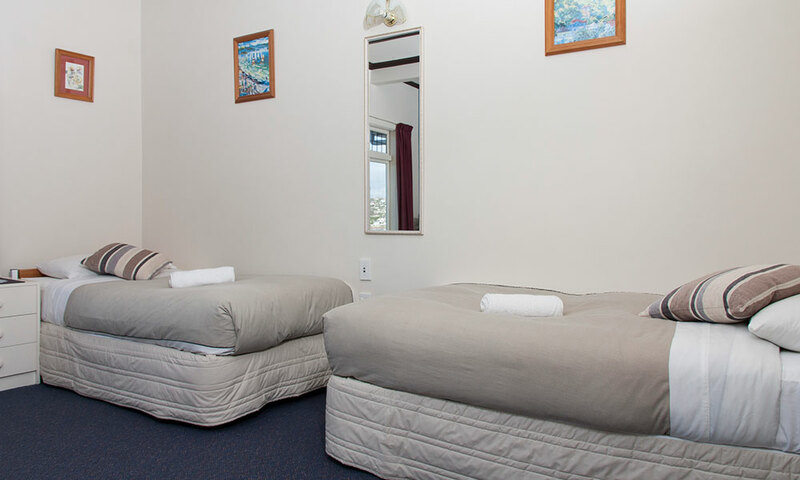 Private room with two separate beds. 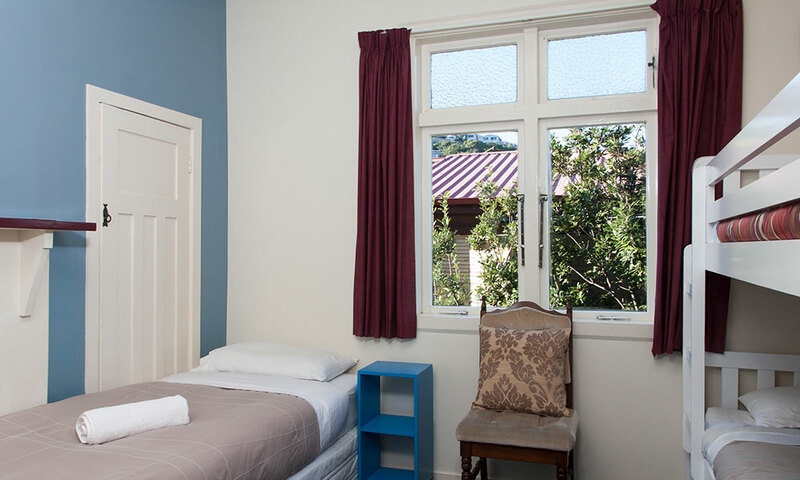 Private room with one Single bed. 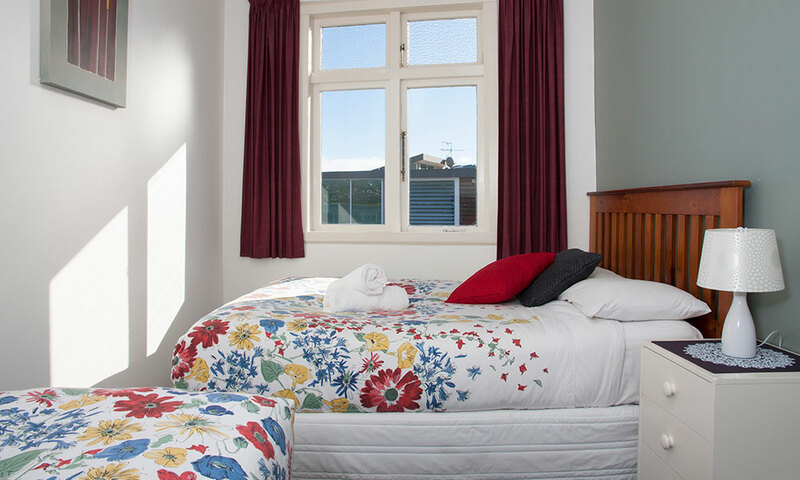 One bed in a four person shared room. 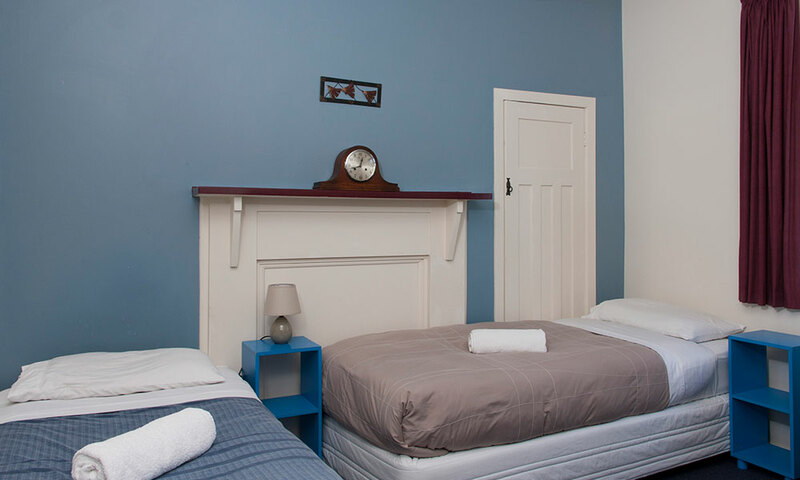 1 Bunk bed and 2 Single beds.